disinterested parties (newspaper editors, radio announcers, television station managers, etc.) 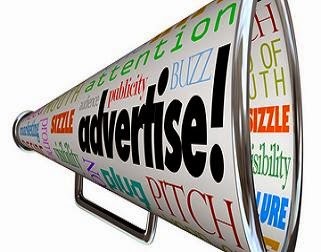 it cannot be called planned communication in the same sense that advertising is planned, because paid advertising virtually insures communication, whereas publicity does not. It is well to distinguish between publicity and news. These two-publicity and news-are non-identical twins. The main difference is that, whereas publicity is written from the standpoint of those who want to make something known; news-a timely record of what people think and do-is written from the standpoint of those desiring to be informed. Indeed, though publicity is usually sought in order to sell-whether it be cheese, a politician’s qualification for office or a movie star’s box appeal-the message through which the “sale” is made often carries enough news value to warrant its publication as news. Advertising rarely contains such news value. In reality, combinations of the various elements often occur. For instance, information that a pharmaceutical company has flown a vial of medicine in its own plane to save the life of a dying child in another country is certainly good publicity; it may be news; it could be told as advertising. It is good for overall public relations, and indirectly, it may well increase the sale of the firm’s products. newspapers’ own sources and other news agencies, it becomes very difficult to shift the factual position but an experienced newsman does succeed in composing the information in objective manner. Kind of news deals with the upcoming event. For example, religious, seasonal or national days like Defence Day, freedom Day, Holi, Eid, Christmas or Basant. The newspaper writes about the arrangement and preparation of the event. A simple, complete and compact knowledge is transferred to reader so far as reader can get the basic knowledge about it and enjoy on the basis of that knowledge. Usually, past tense is used while writing a news but here future tense is used because it would be going to happen a day after or some day after. On the last page of the newspaper where the name of editor, publisher, printer and the city of the newspaper are written. Here is an example of ‘print line’ of The Indian Times which shows the name of publisher and printer of the paper. Another example of print line which gives the name of the organization, i.e., Herald Publications (Pvt) Ltd. Also the name of printer and publisher of the Magazine‘Aurora’. Design: Creative Unit (Pvt) Ltd.
1. It can ready if ever be traced back to its origin. 2. It can spread at the speed of light. 3. It will only spread if the rumour has the momentum of credibility and it thrives in close pint communities which have either no regular or formal channels of communication or channel which are inefficient or no recognized as important. A process of mediation occurs at most or all points of telling the original narrative being exaggerated and usually decorated with spite or resentment. Good news rarely travels as quickly as bad news. In organizations, rumour often circulated most strongly in subcultures of those people generally well down in the hierarchy and who tend to be the last in the queue when information is passed through formal channels. The only antidote to rumour in efficient, fill and open participative communication, with strong lines of horizontal as well as vertical communication. The impact or rumour is rarely beneficial, in the main, rumour is corrosive of relationships, fuels suspicion and bad feeling. Its favourite habitat is a communication vacuum. One dubious compensation is that the subjects or victims of rumour are generally the last to hear of it, unless, of course they started the rumour themselves. It is a specific type of message presentation directly aimed at influencing the opinions of people in one’s favour. Usually it deliberate manipulation by means of symbols, i.e., words, gesture, images, movements of body, music etc. or other peoples’ thoughts, behaviours, attitudes and beliefs. 1. 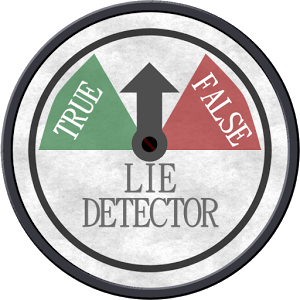 The propagandist gives bad name or good names to whatever he wished the public to dislike or like, this device is called name calling device. 2. A method of attaching broad ideas to particular situations in such a way as to avoid close, critical examination of those situations conventional education. A propaganda user said that the bulwark of our nation. 3. In transfer device, it depends a great deal upon certain symbols which stir the emotions. 4. A propagandist tries in plain folks method to give the impression that he is one of the people, just plan in common folk like all the rest of us and, hence, no more capable of guile and deceit them are we, and we, of course, are capable of none at all. 5. Under which name pass lies, half truths, under the overemphasis, distorting and censorship when card stacking device is used it is almost impossible for the citizen to discover the whole truth. 6. A trick to make us fallow the mob to “get on the band wagon.” In other words, the method that stampedes whole nation. In the context of espionage, military intelligence and propaganda is the spreading of deliberately false information to mislead an enemy as to one’s position or course of action. It also includes the distortion of true information in such a way as to render it useless. Disinformation techniques may. also be found in commerce and government used by one group to try to undermine the position of a competitor. Unlike propaganda or the Big Lie technique designed to engage emotional support, disinformation is designed to manipulate the audience at the rational level by either discrediting conflicting information or supporting false conclusions. The cold war made disinformation a recognized military and political tactic, though disinformation is generally more subtle and designed to remain unconscious to the target audience. Disinformation should not be confused with misinformation, which is undeliberate, the person or news source forwarding the information does not know it is true. Thus disinformation can be relayed as misinformation. If the one relaying message is not aware that the origination of the message deliberately manufactured false information and offered it up for distribution. It is information that is incorrect but not because of a deliberate attempt to mislead. Believers in misinformation are said to be misinformed but not lying. It is commonly confused with disinformation. The spreading of disinformation is a purposeful attempt to spread a known falsehood whereas misinformation is the result of ignorance. terms of its own experience, in short, what is conceivable to it. If facts presented by the propagandist do not seem worthy of belief to the audience, then the facts will not be credible yet, while the audience may not believe the truth. It not necessarily follow falsehood should be employed instead truth can be underplayed or expanded without departing from a substantial basic facts. b. How it is said? The accuracy of reports that largely determines their credibility, there are other influence on the judged objectivity of message. 2. Willingness to believe a statement is sometimes related to who said it. A testimonial device, occasionally employed, consists of quoting from a past speech of a leader which is favourable and credible to the listener. 3. Willingness to believe the statement, it must be based on a knowledge of the attitude of the audience and their point of view. Maximum credibility is often achieved by low key news reporting, complete objectivity in reporting. 4. Situational facts are added to, effectiveness and credibility of communication output. A press conference is an interview given by a public figure to newsmen by appointment. A press conference is held with numerous standardized steps in order to run it effectively. First of all, a copy of prepared statement is distributed among the representatives of press, followed by a concise statement necessitation the class of a press conference. After this stage, all the representatives are invited to put questions to the convener of the press conference, which facilitates for further information and satisfaction of the press men. 1. Only the representatives of the press should be invited to the press conference. The presence and invitation to the outsiders is not desirable and is duly and legitimately resented. 2. It is incumbent on the convener to allow sufficient time to the representatives of the press for holding a conference. They should be served with a notice of week in advance. The said notice or the invitation should clarify the reason and criteria of holding such conference. The invitation should contain the necessary background and details to impress the editors of the necessity of covering the details of the conference along-with the names of the chief speakers. It should also indicate the time and place of the conference. 3. In holding a press conference, the location of the holding of such conference should be named boldly and clearly. The location of the proposed press conference needs much consideration and due importance should be given to this aspect. 4. Timing of a press conference warrant a good deal of thinking and planning which should be selected from two points of views: Firstly it should be most convenient to the pressmen and secondly that the matter of the press conference should be conveniently be included in the next day’s papers on large scale. press conference should be very careful about fixing the day for holding a press conference to make it success and effective. A press release is that form of information necessarily floated for the interest of general public who desire to have knowledge about the activities of the concerns, institutions or the organizations. The press releases are invariably in the form of written circulars or statements, and usually consists of categorical and unambiguous information. 1. 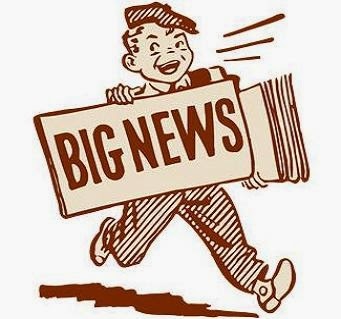 A press release is usually a circular or statement purported to communicate information to the general public. 2. A press release details usually of the activities of any concern, organization or an institution. 3. A press release may be delivered to the newspapers and periodicals by hand, sent by post, or by fax. 4. Another sophisticated method of communication is adopted, i.e., circulars or statements to be dispatched to the news agencies. 5. In case, the information is purported to be widely communicated on large scale; the press release are usually addressed to the news editors of national newspapers. 6. Press release may be sent to the social editor, picture editor, city editor, women’s editor etc. 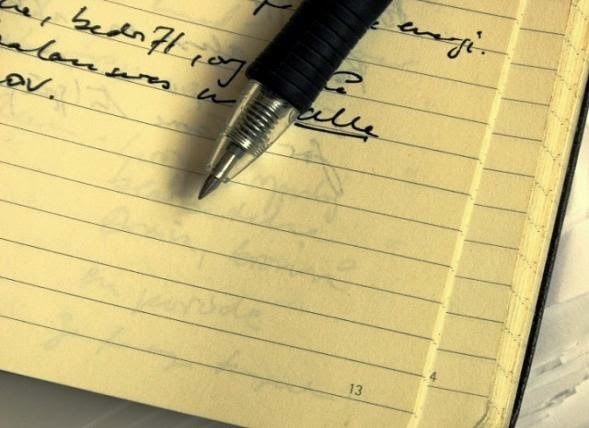 Press notes are those devices of communication, by which a Government policy or an important announcement is issued for the information of the public. In its nature, a press note is important as compared with the handout in all implicit and explicit aspects. It is usually drafted and composed in formal language from the textual point of view, no deviation is permissible. It also designed to communicate and transmit information in strict sense of the word, with no deviation allowable. 1. Press notes are issued by the Government for the information of the general public. 2. Press note contains information in unambiguous and categorical terms. 3. Press notes are invariably linked with the basic policy or stand of the Government on some specific issues. 4. Press notes are specially attuned to accuracy of presentation, whereby a sort of credibility is created. 5. Press notes are the effective tools of bridging the communication gap, by resorting to both the outward and the inward public relation. 6. Press notes normally carry the idea of firm stand on the part of the Government. 7. Press notes are usually reproduced in the newspaper and other mass media in the similar order and manner, as they are received. 8. Press notes are closely related to the announcements of Government’s basic policy as such the newspapers cannot change, reduce or alter their contents in any manner. 9. Press notes as being firm stand and Governments basic policy, is not liable to frequent alteration. As such these are usually and decidedly the last work, which may, however, be revised if genuinely required. 10. The frequency of the press note is not the same as with the handouts. It is undertaken only to highlight the stand and the viewpoint of the Government on some significantly national event or issue and when needed. 1. A handout is essentially a statement announcement intended to be communicated to the public at large. 2. A handout is a news or giving background information of news. 3. A handout is usually a routine information given by Government Agency. 4. A handout can be issued by attached department or agencies of Government or by Semi-Government departments or by autonomous corporate bodies. 5. Corollary to above, a handout should have or possess a quality and characteristic of interest to government, as well as to the general public. 6. A handout should be invested with the requisite characteristic to satiate the public queries and miscellaneous questions. 7. The handouts are usually floated with a definite aim to achieve the underlying objectives, pertaining to the institutions, Government departments and agencies. 8. The handouts have definite object, idea or an experience for communication and information of the general public through the newspapers and other mass media. In recent years, there have been numerous cases of contempt of court committed by newspapers resulting in considerable hardships to journalists, who have been fined or imprisoned. The working journalists must, therefore, have a comprehensive knowledge of the operation of the law relating to contempt of court. (1) It is a contempt of court to scandalize the court or offend against the dignity of a judge by attributing to him dishonesty or impropriety or incompetence, regardless of the fact whether the case with regard to which the offending remarks were made is pending or has been decided. (2) It is a contempt of court to publish an article in a newspaper commenting on the proceedings of a pending criminal case or a civil suit reflecting on the judge, jury, the parties, their witnesses or counsel appearing in the case. It is immaterial whether the remarks are made with reference to a trial actually proceeding or with reference to a trial which is yet to proceed, provided that the comment has a tendency to prejudice the fair trial or influence the decision. (3) It is a contempt of court to publish any matter affecting the proceedings of a pending case which has a tendency to prejudice the public for or against a party before the cause is finally heard. 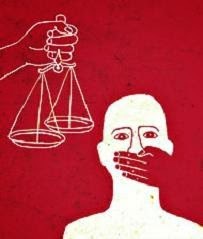 It is not necessary to prove that a judge or jury will be prejudiced. (4) General criticism of the conduct of a judge, not calculated to obstruct or interfere with the administration of justice, or the due administration of law in any particular case, even though libelous, does not constitute a contempt of court. (1) Comments on the conduct and behaviour of petitioner in lunacy proceedings. (2) Comments on the conduct of a debtor in bankruptcy proceedings. (4) Imputation of fraud or dishonesty. (5) Charge of undue influence. (6) Making libelous statement on parties or witnesses. (7) Comment against conduct of defendant. (8) Abusing persons making affidavits. (9) Making allegations of prejury. (10) Making suggestions that plaintiff's case is untenable. (11) Reflection on goods supplied by the plaintiff. (12) Disputing validity of patent in a newspaper during pend-ency of suit. (13) Advertisement offering reward 'for securing evidence in a pending matrimonial suit. (14) Advertisement as to proof of adultery of wife. (15) Publication before hearing of documents connected a with the cause, e.g, counsel’s brief, plaintiff‘s statement of claim containing allegation against defendant, affidavit or write charging fraud, interim report of receiver, list of creditors in bankruptcy proceedings. (16) Publication of inaccurate proceedings. (17) Theatrical impersonation of prisoner. (18) Publication of comments on proceedings held in camera. (19) Publication of article after conviction but before judgment. (20) Interesting paragraph anticipating result of the pending case. (21) Making reference to a case only for political purpose without mentioning the names of the parties in the action. (22) Publishing photograph of an accused where question of. his identification is involved. (23) Publishing before hand what purports to be the defence to be put forward by an accused. (25) Conducting an independent investigation into a crime for which a person has been arrested and publishing the result of that investigation. can convince the court or jury that he was referred to in a defamatory statement, or that some persons concluded that he was referred to, he wins his case, even though his name was not printed, but only an initial letter, asterisks, a fictitious name, or somebody else’s name, or a reference to a definite body of persons, of which he was a member. For describing a man as “a man of straw”; for calling a person “an‘ infernal villain”, “a great defaulter”, “a frozen snake”, “an itchy old toad”, “a desperate adventurer”, “an artful scoundrel”, “a company meeting agitator”, “a hypocrite”, “a rascal”, “an impostor”, “a crook”, “a swindler”, “a loan shark”, “an anarchist”. For writing an obituary of a living person. For publishing ‘a story that made the plaintiff ridiculous, though the plaintiff himself had told the story in the first instance. For publishing a story of no literary merit as having been written by an author of standing. For publishing the picture of a wrong woman in a scandal story. For calling the works of a great artist as “willful imposture”. For writing a humorous story ridiculing a corset model. For printing that a countess is to become a mannequin. For omitting to report all the facts of a case in court about a barrister-at-law. That the greater the truth, the worse the libel! In a criminal libel, printed matter might provoke a riot, or a defamed person, or a friend of his, or one whose sense of religious propriety was outraged, or whose political convictions were slighted, might be provoked to assault the publisher. Again, an article or some published matter might unsettle people’s minds as to some established institution, and thus lead to instability and even revolution and class war. It is, however, rarely that criminal libel operates, for the law respects the freedom of the press in a democratic state, giving considerable latitude to journalists. Civil libel is what the journalist has to guard himself against, for not only is the editor and publisher answerable before the law in such a case, but also all who “assisted” in the publication. It makes no difference whether the libel appeared in a news story, in the headline, in an editorial, in an illustration, in a letter to the editor, or even an advertisement. (i) justification, (ii) privilege, (iii) fair comment, and (iv) apology. The onus of proving the truth of a libel is on the defendant; and he must prove that the whole libel, not merely a part of it, is true. If a headline is libellous as well as the article over which it is placed, the truth of both headline and article has to be proved. For instance, the headline, “Shameful Conduct of an Attorney,” appeared over a correct report of a court proceedings; the report was held to be true, but damages were recovered for the heading. known as qualified privilege, which means that a plaintiff cannot succeed in claiming damages from a newspaper for reporting libellous statements from the above-mentioned sources unless he proves malice, that is improper motive, on the part of the paper. The journalist or a newspaper is free to make “fair comment” on all matters of public interest. The facts on which the comment is based must be true and the comment fair and without malice. Whether a matter: is within the comment is fair as based on the facts is a question for the jury. (1) all state matters, everything concerning government, parliament or parliamentary committees. (2) the public conduct of everyone who takes part in the public affairs, but not the private conduct of such persons, save insofar as it affects their public relations. (3) legal and ecclesiastical matters. (4) places of public amusement or entertainment. (5) art and literature, but not the private, character of the artist or the writer. (6) management of public institutions. (7) anything, in short, that invites public attention or criticism. Some judicial pronouncements should prove to be helpful. Retraction offered by the journalist or newspaper usually lessens the amount of damages, but does not constitute complete defence. When an apology is published, it tends to prove that there was no malice on the part of the defendant. A facial expression results from one or more motions or positions of the muscles of the face. Meaning attached to facial expressions are identical but differs from culture to culture. Majority opinion is that these do have similar meaning worldwide with respect to smiling, crying, showing anger, sorrow or disgust. However, it differs in many parts of the world. Gestures are made with hands and arms. Some of these are culture specific, others are universal. Think of the gesture that is used to indicate that somebody may be crazy you do so by pointing the finger at the head or by tapping the head with it. In US, index finger is used for pointing. In Germany, little finger is used for pointing. In Japan, entire hand is used for pointing. Similarly another example of gesture is counting. In Germany, thumb is used to count 1, while in Japan thumb is used to count 5. Eye-contact and gaze indicates degree of attention or interest, influences attitude change or persuasion, regulates interacting, communication emotion, defines power and status and has a central role in meaning impressions of others. In western culture, direct eye to eye contact is seen as positive sign while in Arabia it shows interest and helps.them understand truthfulness of the other person. In Asia, direct eye to eye contact is avoided to show respect of elders. 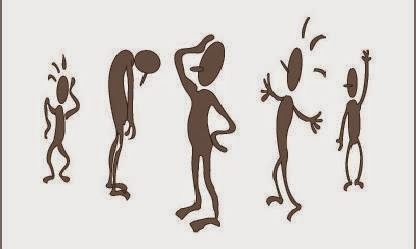 We send information on attitude towards person (facing or learning towards another) emotional status (tapping fingers, jiggling coins) and desire to control the environment (movement towards or away from a person). We cannot categorize the body movement, it is more than 700,000 possible motions. To be aware of the body movement and position is a key ingredient in sending message. Posture involves the whole orientation of the body one can immediately recognize a casual posture. Relaxed, learning back with hands clasped behind the head indicates a very casual mood. If the body is rigid, erect with hands folds across the chest, it suggested aggression. We are also familiar with body posture with suggest dejection. Bowed down body as if something is weighing one down with head in hands shows dejection learning forward can suggest interest. All cultures are concerned for how they look and make judgments based on looks and dress. Appearance almost obsessed with dress and personal attractiveness consider differing cultural standards on what is attractive in dress and on what constitutes modesty. It is also used for the sign of status. Touch is basically concept of part of the body one may touch, what may not touch. Basic message of touch is to affect or control-protect, support, disapprove. It varies from place to place. Smell is concept the body react with the environment to smell something. If a person smell the smoke he immediately moves from that place to safe area. The feature of emotion, voice quality and speaking style send different message to different tone. In Arabian culture, the loudness indicates strength while softness indicates to weakness. Besides this, in Germany, softness indicates confidence and authority. Basically, it is one of the key aspects of communication (and especially important in a high-context culture). 1. Use to repeat the verbal message, e.g.. point in a direction while stating direction. 2. Often used to accent a verbal message, e.g., verbal tone indicates the actual meaning of a specific word. 3. Often complement the verbal message but also may contradict a started positive message. 4. Regulate interaction it conveys when the other person should speak or not to speak. 5. May substitute for the verbal message, especially if it is blocked by noise interruption. For example, finger to lips indicates need for silence. The industrial revolution, which was responsible for most of the technological innovations of the mass media, was the direct result of technical knowledge recorded as transmitted through print. The industrial revolution could not have occurred without the technical knowledge made possible by print, through its ability to record, transmit, and augment what went on before. have found it advantageous to sell directly to a paperback company. Unlike most trade books, textbooks can sell for many years. 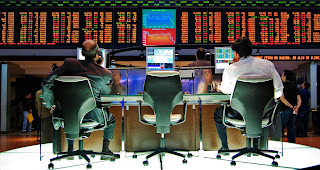 The markets are smaller but easier for publishers to identify and reach. Revisions are published every three to five years and some textbooks continue to sell for six to eight editions. The last category of books called professional books, are written by specialists for other specialists to read. Book publishing has three primary functions: editorial, production, and marketing. The marketing of books has been refined in recent years, but it still includes distribution of complimentary copies to reviewers and various other strategies for getting books to the best-seller lists. One of the best ways to insure substantial sales is for an author who has a lively personality to be a guest on one of the popular television shows. Book clubs and serialization are also utilized by publishers. The major difference between mass-market paperbacks and hardcover books is. their distribution. Paperbacks are treated essentially as magazines and are distributed by wholesalers, while hardbacks are sold primarily through bookstores and book clubs. Readership studies offer contradictory insights into the health of the book business. On the one hand, there are increases in the total number of books being sold and apparently read; on the other, apparent decreases in the numbers of young and elderly readers may pose a threat to the long-term health of book publishing. Books, traditionally the freest of the media, in terms of content, retain that freedom when published in hardcover and given limited distribution, but they face increasing public hostility when questionable content is widely circulated in paperback form. As book publishing becomes more and more market conscious, the essential libertarian-ism of the product may diminish. Despite widespread arguments concerning whether the book is a dying medium in this age of electronics, we gamer from expert testimony and current policies that the medium is adjusting to changes in technology and will continue, although in one of several modified forms, to serve the needs of consumers who will expect individualized information, consumable upon demand. Books are a medium of mass communication that deeply affects all our lives. Books convey much of the heritage of the past, help us understand ourselves and the world we live in, and enable us to plan for the future. They are a significant tool of our educational process. 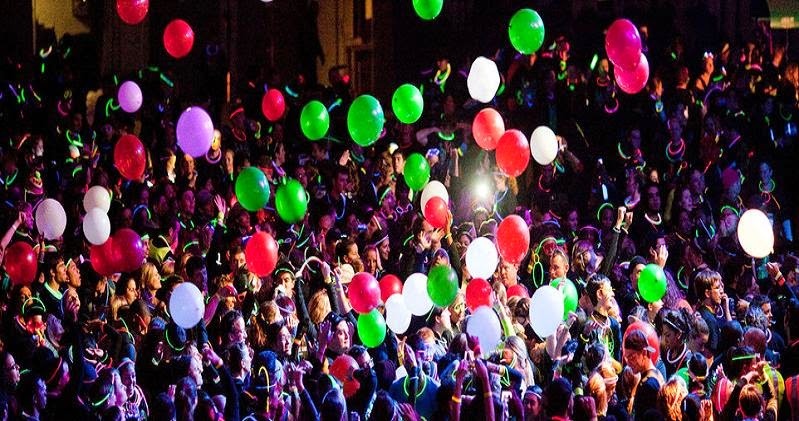 They stimulate our imagination, and they provide entertainment for people of every age. The nation’s current educational, business, and social life could not survive long without books, Judges and attorneys must examine law terms and their computerized indices continually; doctors constantly refer to the repositories of medical wisdom and experience; government officials must be aware of all the ramifications of new legislation. Teachers and students find in textbooks the vast knowledge of history, philosophy, the sciences, the arts, literature, and the social sciences accumulated through the ages. People in every walk of life read to keep abreast of a fast-changing world, to find inspiration, relaxation, and pleasure, and to gain knowledge. Books explain, question, and interpret-nearly every aspect of life. The literary record has been one of the hallmarks by which each succeeding world civilization has been measured: the works of Plato and Aristotle, for example, both reflected and refined the quality of life in Greece. These philosophers and others of their time had no books, but created them for us. Social historians have long examined creative literature as well as the factual records of a civilization in their efforts to reconstruct the life of the people of a particular time and place. Today the finest published fiction has a reverberating impact upon society. The ideas and techniques employed by fiction writers have an enormous effect on theater, movie, and television scripts. Many outstanding productions result from the book publisher’s enterprise in encouraging and promoting both new and established authors. Creative writing enhances most. of the art forms by which our civilization will one day be judged. Whether they are paperbacks or hardcover volumes, books provide a permanence characteristic of no other communications medium. Newspaper reporters and radio-television commentators address a large audience, but their materials quickly disappear. Videocassettes, audiotapes, recording, motion pictures, and microfilm may deteriorate through the years. Magazines, especially those printed on high-quality paper and bound into volumes, may have extremely long lives, but most get thrown out with the trash. For the mass communicator, books perform several important functions. 1. Trade books, marketed to the general consumer and sold mainly through bookstores and to libraries. 3. Mass-market paperbacks, sold mainly through newsstands and chain retail stores. 4. Professional books, such as medical, technical, legal, scientific and business works. 5. Book clubs, actually a marketing channel for books issued by other publishers. 6. Mail-order publications, created to be marketed by direct mail to the consumer, frequently as part of a continuing series related to a particular topic. 7. University or academic presses, non-profit adjuncts of universities, museums, and research institutions, mainly concentrating on scholarly or regional topics. 8. Elementary and secondary textbooks (called school textbooks), hard or soft-cover texts and manuals, maps, and other items for classroom use, mainly sold in bulk to school districts. 9. College textbooks, hard or soft-cover volumes and audio, visual materials; the texts are sometimes similar to trade books. 10. Standardized texts, for schools, colleges and universities, and industry. 11. Subscription reference books, mainly sets of encyclopedias sold through the mail or door-to-door, as well as dictionaries, atlases, and similar works. Although there is no denying of language’s importance, but on the other hand it is the fact that deaf and dumb also communicate through gestures, facial expressions and with very specific movements or actions of their bodies. So this the reality that signs, symbols, gestures and facial expressions are important ways of communication in which, besides, human beings, plants and inanimate objects can also invoice. Language is the basic device for expressing our thoughts, expressions and feelings. In mass communication, language is being considered the most important source of communication through which we share our knowledge, information and ideas with others. Apart from all these above definitions, we can say simply that language is a natural source of communication based on three types-pictorial, vocal and symbolic; through which we exchange our ideas. expressions, feelings and share our knowledge easily with others. Language has been transferring from generation to generation where we learn the meanings of words and their usage in a specific language. On the other side, language is known as a symbol of nation’s unity and recognize as the identity of a nation. Any nation can promote her culture, art through language while science has also developed on the base of language as we use scientific language for explanation of scientific terms and its progress. Language is the most important way of communication. In fact, the basic purpose of language is to communicate with others by words or sounds. “Sound” has two types, organized pattern of sound like music or disconnected sound through which animals communicate. As we know, human beings and animals both have tongue but this is properly used in words as a language only by human beings. Animals communicate through disconnected sound by which they show their needs like hunger, fear, pain etc. Language is a basic source of communication through which we transfer and exchange our ideas, knowledge and information. As we have defined above, that language is the most important source of communication through which we express our feelings and thoughts to others. It is the easiest and the simplest form of communication. Through communication, we exchange our ideas to each other. We exchange our ideas through language by using words, which can express our ideas to others. Through communication, many friends and relationships are formed for which mutual understanding is necessary and this mutual understanding is possible only if there is a proper and common use of language between sender and receiver. On the other side through mutual understanding, individuals form community, community form society where social and cultural norms are nourished, so, this is all done by language. It is the most important type of communication which is also called face-to-face communication. In interpersonal communication, one person communicates with another person, they exchange their ideas, share their knowledge by the usage of language. This shows the importance of language that even two persons cannot inter-exchange their ideas, knowledge, information without language. In short, language is an essential element or component of interpersonal communication. Symbolism plays a very important role in our everyday life. We used words with their symbolic meanings to make our communication process easy and simple. In symbolism, we assume certain meanings to words and use these words meaning wise in our daily life. 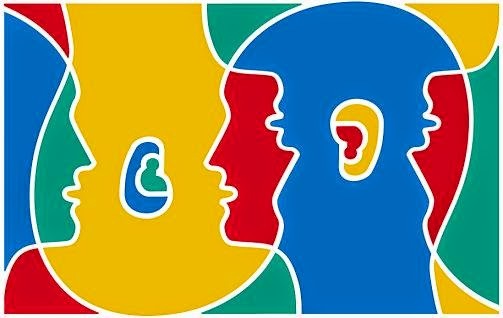 Language connects one person to another, one group to another. One society to another, one nation to another. We can say simply that language is a source of contact among the people which connects them with one another. Radio and television are important media of communication which had opened the new era of communication, newspapers are also important. Electronic journalism has one important element that is immensity which means vastness of coverage. Television and radio cover all the areas of the country while newspapers reach only in those areas which have roads and transport. But the programmes of TV and radio do not rely on transport. Especially Radio-as it can be heard where areas are not electrified. So immensity of coverage is the main quality of electronic journalism while newspapers do not have this quality. Radio and television broadcast programmes of international level. Programmes of TV are seen in various countries through satellite and radio programmes are also listened in our neighbouring countries while newspapers are limited in the specific area. Radio and television broadcast programmes in different languages including regional, national and international level. 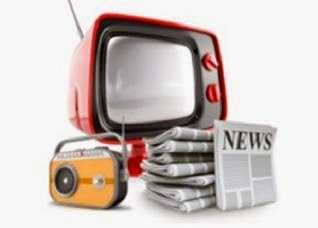 News bulletins of TV and radio are broadcast in Hindi, Punjabi, Urdu, English and Arabic and other languages. Newspaper is published in only one language, either in Hindi, Urdu or English, it does not consist more than one languages. News of television and radio have more communique expression than newspapers. Radio and TV give the expression of face to face communication but newspapers do not have such expressions and impressions. Radio and television cannot be used as a proof or record of any event but a newspaper can be read many times and used as a reference of any event. But television and radio are the fastest ways of communication so we cannot easily keep the record of TV or radio’s news. In most countries, specially radio and television are national channels, meaning that they are under the hold of government as their policy is formed by government, in simple words policy of government is the ‘policy of Radio and TV, while newspapers are independent, they have their own policy without any restriction although journalism has also its own laws and codes of ethics. So except those laws, there are no other laws or restrictions. But National TV and Radio cannot broadcast anything against the will of the government. ether side, readers can select news of their own interest and may be used as a proof. Newspapers also publish those news which are ignored by radio and television, for example, regional news. Television and radio has one advantage that both broadcast live programmes like live coverage and running commentary of matches. But newspapers get published once in a day. So we do not find this quality in them. As we know, National television and radio are under the hold of the government, so both channels of communication mostly present the views of government. But newspapers are owned by general people and present the ideas, suggestions, views and their problems. As every newspaper has special column in which letters to editor are published. These letters are written by public, discuss problems individually as well as collectively. In simple words, people contribute in the newspapers more than in radio and television. So we can say that newspapers are the representative of people while radio and television are representatives of the government. Entertainment-wise, radio and television are more effective and impressive than newspapers. Radio and television broadcast musical programmes, dramas, stage shows but newspapers have‘no such a facility, although newspapers are published interesting features but they are not as entertaining as programmes of radio and television. Radio and television broadcast special programmes for educating the people as TV telecasts programmes of different educational courses and the basic purpose behind these programmes is to make people educated. But newspapers publish only the edition of education which is not as effective as educational programmes of television. 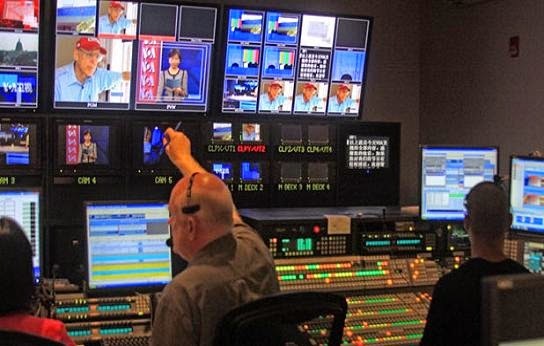 Radio and television are the fastest ways of communication by which news bulletin is broadcast many times in a day. On the other side, news bulletins are presented in different regional, national and international languages for the purpose of conveying the news to the more and more people. But newspapers are slow medium of communication published in one language and once in a day. 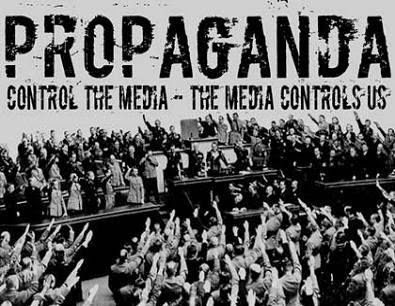 Electronic media are very important tools of propaganda especially at international level. In case of counter propaganda, TV plays very important role to answer the propaganda of other countries. It is also the fact that newspapers are also used for propaganda and publicity but only at local and national level. While television and radio are very effective tools at international level. From unofficial sources, literacy rate is 56 percent, majority of the population, urban or rural, is illiterate. In spite of the fact, people have curiosity in newspaper, because they find in it most of the material for their information, guidance and entertainment. People who don’t know, “how to read newspaper,” listen from others news of their own interest. Despite less education, newspaper fulfills its responsibilities. No doubt, the most important tool to form or affect public opinion is newspaper, it, in many ways, affects public opinion through its views, articles, columns, editorials, etc. Most of the people formulate their opinion from newspaper as they agree with the thoughts and reflections of the editors and on a particular event, they wait to see the reaction of their opinion leader. In an ideological state, newspapers are considered as custodians of ideology. Newspapers create sense of responsibility and keep the people informed of their true and right destination. They also help to determine their goal. Newspapers have a noble zest in their mission, hence have no stone unturned. First, newspapers publish with the same mission and shoulder their responsibilities. Now, with the passage of time, a lot of money is necessary to maintain press in proper order and new kinds have been invented for this purpose. However, sometimes, it seems to be a business rather to play a missionary role. Sometime ago, only one journalist stepped in this field, but now big businessmen have adopted this field and made her an industry. In previous time, newspaper was published in a very simple. form and only produced important news with an editorial. Then pictorial journalism stepped ahead and enhanced the importance of the newspaper whenever important day or functions came, and newspaper published an article over it, but nowadays, special editions are published on important national and international days, events or functions. Newspapers everyday publish special editions, e. g., Political Edition, Sports, Religious Education, Women, Youth, Children, Social Activities, etc. Newspaper is a mean to provide information, guidance, news, views, and entertainment to the general public. Almost, literate and illiterate people show their interest in newspaper. Every one reads newspaper according to his own desire, need, requirement and interest. A newspaper in different means provides entertainment to its readers. aspect has been integral part in modern journalism and it remains in one way or the other. 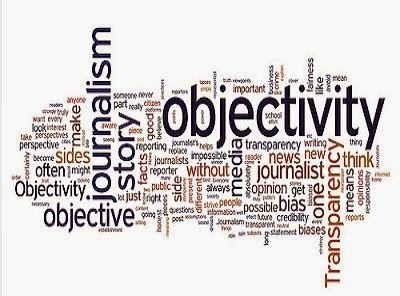 Newspapers may have to publish all the matter having news objectivity, and press adopted this tradition to enable herself to publish a good newspaper. 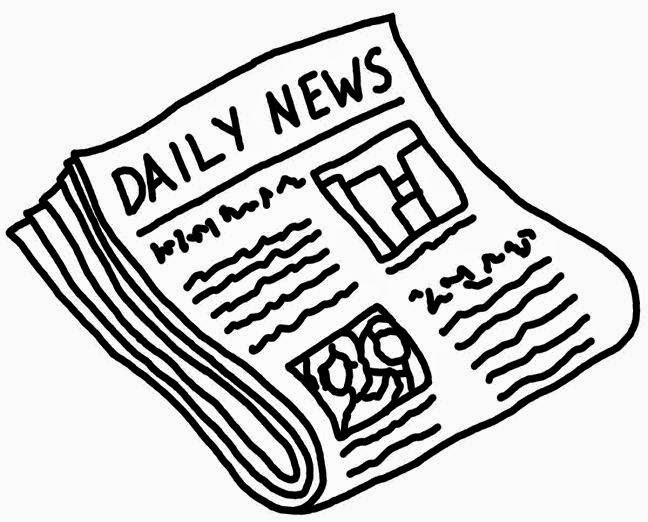 Newspapers prefer to print the news reported by their own representatives and reporters. Sometimes, some organizations desire publicity of their own cause, for that purpose press relations are essential. Newspapers not only publish stories based on aggression but other material also for the interest of the general reader. In such magazines, all our efforts are made to enhance the interest and give a moral lesson to their readers. Often these magazines and articles prove useful to guide and make broadminded the great part of the society. 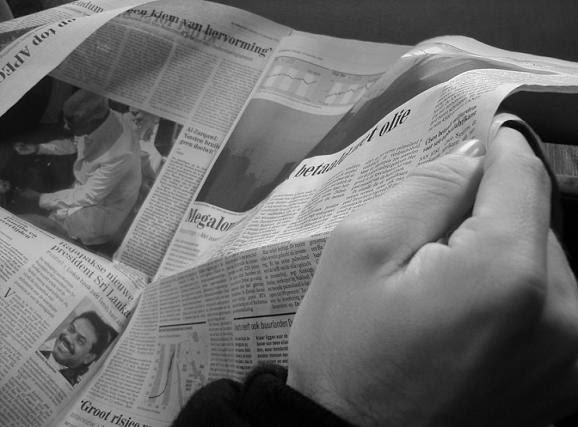 Newspapers have played significant role in political and social uplift. Press with its editorials, articles, columns, features awake the people and make them conscious about their political and social rights and duties. Through the blessing of newspapers, now a layman is well known about his responsibilities and obligations. Society developed herself to seek guidance and information through its representative newspapers. Newspapers in its special edition and magazine publish stories regarding crimes, spies, etc. More than 80 percent people read them very anxiously and take benefit and lesson from these stories, often someone tries to repeat the same. In fact, the sole purpose of the newspaper is to dishearten the sentiments of such people by giving unlucky result, but with extreme sorry, they are not producing their real effects. The chief and fundamental function of a newspaper is to provide information, guidance, help and entertainment to the general public. Newspapers make the common man aware of the happening of an event, even all around the world as an information. We know detail of any event through the Press, e.g., Hindu-Muslim riots in India, apartheid in South Africa, Communism degeneration in Russia, war between Arabs and Israel in Middle East, sports of Barcelona, Amsterdam or London, etc. In twenty-four hours, circumstances change in a short while and events happen every second after second. Newspapers present not only news regarding an event but views also. For that purpose, a special page is used in the form of editorial, column and feature. In these pages, newspaper presents different views about a news but this doesn't mean that newspaper agrees with their point of view. In this connection, only the editorial carries the responsibility of the newspaper as it also shows the policy of the newspaper. Public opinion grows out of the great variety and diversity of the opinions, views, beliefs and prejudices of individuals or. citizens of a state, when they think and want to do something in common. Lord Bryce defines it thus: Public opinion is “the aggregate of the views men hold regarding matter that affect or interest the community.” Newspaper is the most important agency for influencing and expressing public opinion. 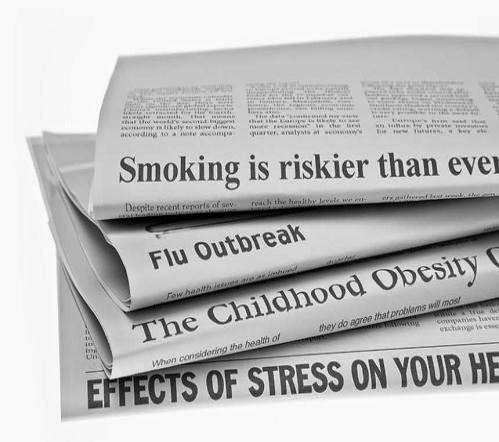 Newspapers influence public opinion by their editorials, news and method of presenting them, and by their views and comments on the news. 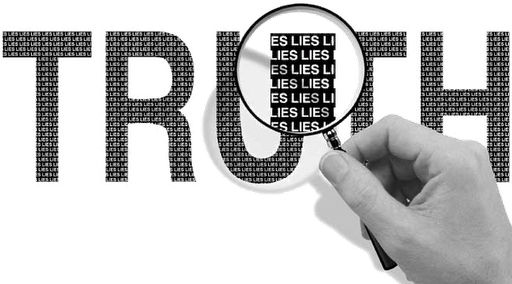 Newspaper can easily mislead public opinion simply by suppressing or omitting certain kinds of news and by emphasizing others or by presenting the facts in a distorted and unfair manner. Press must be honest, impartial and accurate as great responsibilities lie upon her shoulders. Newspapers form the public opinion, on the other hand, provide a comprehensive platform for people discussion. Newspaper is an open invitation to all to unite for or against any problem, event or policy. Hence, by providing such facility, newspaper enables the society to see the lighter and darker part of the picture. Newspapers have to produce news-cause or any kind of information based on truth and reality as the foremost function of newspaper is to bring out truth and reality before the people. By inducing these universals, newspaper has solved many tangible problems. Apart from other functions, newspaper plays a positive role to promote the thoughts, customs and traditions of the society. But it does not affect impartiality. She has to promote only the good and the most flourish-able additions of the society, which really needs wide projection for the progress and prosperity. This is obviously the most important function but the other ones must be paid equal attention if a newspaper is to make a lasting appeal to the public. The first channel of information is the leading article or what is called, the editorial which is the best medium at the newspaper’s disposal for the interpretation of the news of the moment. The leader writer today may not have quite the same influence on the reader that he had when there were few newspapers but, nonetheless, a popular newspaper even today guides the public opinion by interpreting the news and elaborating the opinions for creating an impact on the readers. gospel, all the same it enables him to adjust his ideas and encourage him to think for himself. Instruction is also to be gained from many of the articles on special subject. Modern newspapers tend to carry many light materials including articles written in light vein. These features not only indirectly influence the opinions of the readers but also fulfill the entertainment function. any rate, a welcome change from the anxieties of everyday life. In the same way, cartoon is always welcomed. its nature has to be brief because it has to give all the news in a brief time and has to leave out important details, frequently whole items altogether. Many a time, it even happens that a more important item is left out in favour of one which is less important but has greater visual appeal. 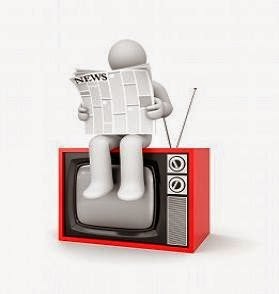 Thus TV news is basically a supplement for the newspapers, watched mainly for its visual impact but not for thorough coverage or for interpretation or background. TV cannot give all the details of an item and neither should it try. TV is not a good vehicle for carrying great volumes of little facts such as facts and figures, large numbers and insignificant details. TV is a passing medium and once an item is read out it is gone forever. While on the other hand, a reader reads a newspaper with full concentration and can refer to it again and again. The biggest advantage of TV news is its visual impact and direct appeal. The viewer can be directly taken to the battlefield and see the guns firing around him or people running for cover or bombs explode. He can see demonstrators throwing stones at policemen in the Israeli occupied areas. He can see the devastation caused by an earthquake in Nicaragua and feel the agony of the people. And when a head of state declares war, every TV viewer feels he is addressing him directly and feels an appropriate emotional response. 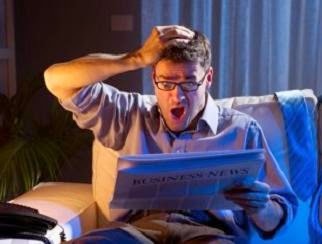 Newspapers are often read in circumstances in which Television cannot compete-while travelling, at the office, during breakfast. And they can be read any time during the day. It is a habit for most people to read the newspapers which they cannot do without, even if they have heard the news on the radio and TV. In a study in the United States, the participants were asked two questions. Which do you think gives the most complete news coverage, radio, newspapers or television? and which, do you think, gives the most interesting news coverage? 75% of the people said newspapers were most complete and 68% of the people said television was most interesting. Thus we can say that basically people look at newspapers as a source of information and TV as a source of entertainment. 1. Radio is found in all countries of the world, even in the lesser developed countries where television has not yet been introduced. 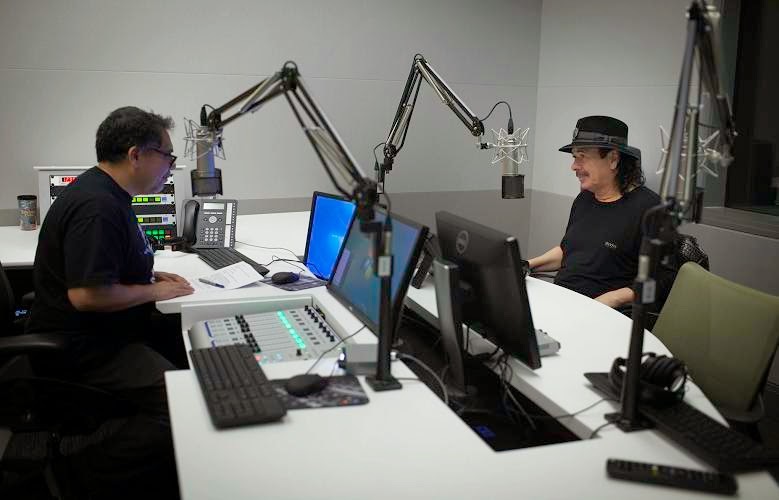 In such countries, radio continues to be the most sophisticated mean of mass communication. 2. Even in countries where television has been introduced, it is not feasible for economic and technical reasons to be spread all over the country. Thus in many developing countries of the third world, television is limited to only parts of the country and there are vast areas, mostly rural, where television has not yet reached and a large number of people of these areas are deprived of television. that even in rich countries such as the USA and England radio sets vastly outnumber television sets, and in poor countries like India and Pakistan, there is a tremendous difference between the two, and only a very small percentage of the population owns television sets. However, since radio sets are comparatively cheaper and more people can afford to buy them. cannot watch television for this reason. However, these people can listen to radio because of the boon of transistor. work also at the same time, even driving. Compared to other mass media, TV is closest to radio from which it is basically derived. Radio brought about a revolution by bringing sound into our homes. TV took the revolution a step further by adding sight to sound. The similarity between radio and TV lies in the fact that both the media can at the same time reach a colossal audience regardless of geographical boundaries. No other media can reach so many people simultaneously. The other similarity is that both the media can bring events to us immediately. While we have to wait a considerable broadcast or telecast immediately after it happens or even while it is still happening. Both radio and TV are similar in that they can bring events to us live. Whether a cricket mach is in progress or a war, its sight or sounds can be brought to us by TV and radio, something which is not possible through any other medium. The main difference between TV and radio is that the TV focuses more attention than radio. While radio mobilizes only one sense, that is of sound and can be listened while doing something else at the same time, TV mobilizes two senses, that is, sight and sound, and requires more concentration. For this reason, the impact of . TV is great because psychologists say that we remember 20 percent of what we hear and 30 percent of what we see, but when sound and vision are combined, we remember as much as 50 percent. TV is more powerful because it makes the viewer directly participate in what is happening around him which the radio cannot. This difference can be seen in the impact of watching a cricket match on TV or listening to its commentary on radio. Sci people prefer radio because it leaves some room for the viewer to exercise his imagination. The listener forms his own ideal from listening to the voice of the announcer or performer and similarly gives full rein to his imagination while listening to radio plays, and forms his own ideas of the characters and the background. TV, however, is a concrete medium and leaves no room for the imagination. Studies throughout the world show that TV has had the greatest impact on radio listening and except for recorded music programmes and in some cases the news, most people prefer to watch TV rather than listen to radio. The media is meant to convey messages to the public. Messages are conveyed for the most part through an adroit mix of news and entertainment. The proportion in which they are mixed together differs from one medium to another. This being largely dependent upon the nature of the channel through which, and the format in which, messages are sought to be conveyed. significance in the making of an historical event. In reconstructing history, one should, of course, in the first place tap the archival source as well as depend primarily on them. In the advanced countries, due attention is paid to the business of preserving archival materials. But in countries such as ours, seldom are the documents deposited by a political figure in his own life time; instead, they are usually left to his heirs to do with them as they please. Thus, a good deal of material never gets deposited in the national archives, and is lost to posterity through sheer neglect. Even what is deposited is available only after thirty years or so after the event, or after the death of the political actor. Till such time as the archives on a particular event become accessible to researchers and scholars, what other source is there for reconstructing the event-except the newspapers? cultural and economic developments, among others, are also reported, and these are important for reconstructing even the political history of a given period. without newspapers we would not be able to trace out trends, at first nebulous, but crystallizing themselves overtime. 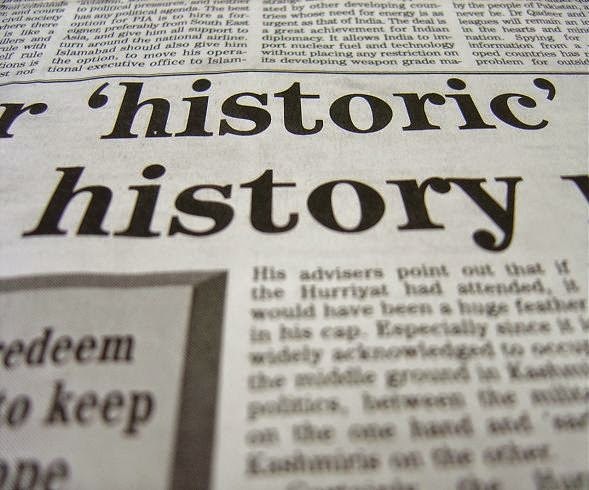 Not every newspaper could, however, claim to be source of history. 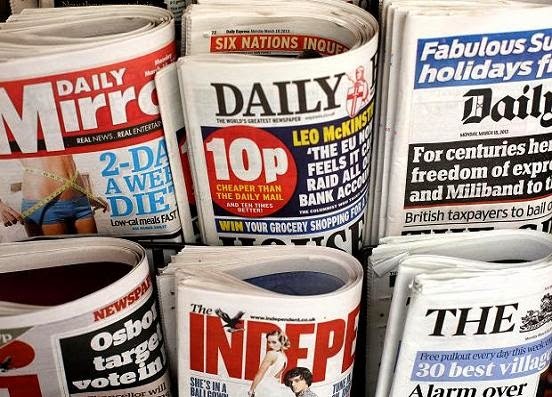 Actually, dependence on only one newspaper could be grossly misleading since newspapers have their particular viewpoint, occupying various points on the political spectrum. Just as in the ease of documents, internal evidence needs external validation before being accepted as evidence, newspaper reports would also need validation from other sources. Hence more than one newspaper, usually one with a divergent policy, need to be consulted to arrive at the truth, especially on controversial marital matters. as a true mirror of the state of affairs at any given moment, although they could serve as being supplementary to each other. Hence the needs to consult more than one newspaper to get a more balanced picture. complete newspaper; but a more rational criterion would be whether it reports all sorts of events, even those considered not so significant at the time, and whether it publishes all sorts of opinion, even those considered not too popular, even radical, at a given time, and those divergent with its own editorial policy. it is on this basis alone that the integrity of a newspaper is to be judged, that measure of its neutrality and objectivity (in its news columns) is to be assessed.